Permanent dentures have become the most advanced and stable way to replace whole arches of missing teeth. 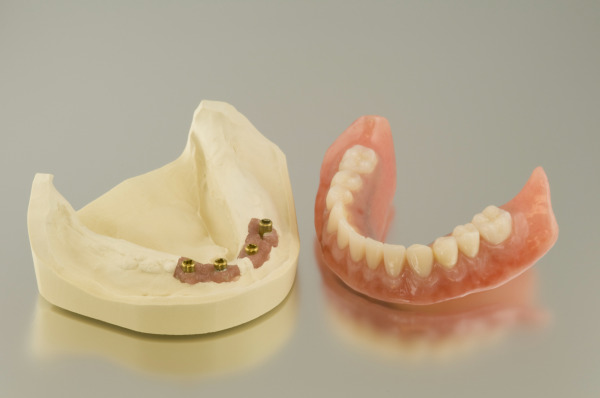 For removable denture wearers, permanent dentures are the answer to problems with loose prosthetics, poor aesthetic, and loss of biting power. At Norco Family Dental group, we help patients find viable solutions to tooth loss with fixed denture treatment in Norco, CA. Typically indicated for people who have advanced periodontitis that requires the extraction of teeth – fixed, or permanent dentures, are so called because they are stable, non-removable fixtures that re-create the appearance and function of healthy teeth. To provide this base, you'll receive several dental implants --- posts that are surgically added to the jaw to mimic roots of real teeth. The advantages of getting fixed dentures prove to be a significant, positive improvement in the daily lives of our patients. Interested in Fixed Dentures? We Place Dental Implants! Some dental offices have to refer patients to an outside oral surgeon to have their implant treatment completed, which takes extra time and effort. However, Norco Dental Group places dental implants right at our office. After going through an initial, complete examination, Dr. Ghorbanian takes note of your chief areas of concern and goes through all record-takings to come to a final diagnosis. We focus on getting a clear idea of your treatment plan before we begin any procedures; you will completely understand what is expected on the day of surgery and what outcomes you can look forward to. In conjunction with dental implant placement, we can also perform bone grafting and even extract teeth and place your implants in the same day. At the end of treatment, you leave our office with permanent teeth, in as little as one dental appointment. Dr. Ghorbanian and his dental team pride themselves on honest, caring treatment that is made to serve your needs and comfort. Dr. Ghorbanian pays attention to details to give patients the renewed, strong, and healthy smiles they've always wanted. For more information about how our Norco implant-supported dentures can help you recover your oral health and confidence, contact Norco Family Dental Group.